Hyundai’s award-winning small car has been redesigned into the innovative next generation i30. The much loved i30 has been transformed with modern touches of style, safety and technology, that are guaranteed to turn heads. The new i30 is packed with the latest technology and safety features, and topped off with an eye catching stylish design both inside and out. With practicality and sophistication you wouldn't expect from a small car, it’s sure to impress. 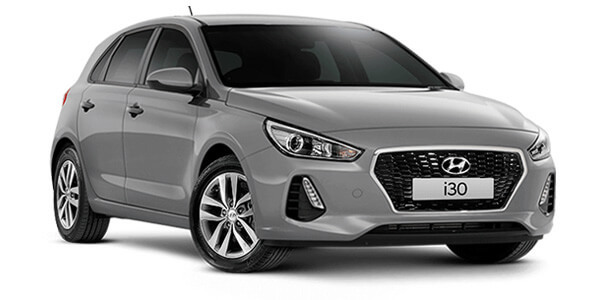 The i30 boasts a 5-star ANCAP rating, impressive fuel efficiency and Hyundai’s famous after purchase care, including a 5-year unlimited km warranty, lifetime service plan, roadside support and a sat nav update plan. Performance To Suit Your Needs. Hyundai SmartSense™ Technologies All Have One Thing In Common - They've Been Developed To Help Alert You To (And Avoid) Any Dangers Around You. When You Drive Away In Your New Hyundai I30, It’s Just The Start Of A Brilliant Journey. From Your Complimentary First Service At 1,500 Km, Hyundai Offers Australia’s Highest Levels Of Ongoing Support And Care In Our ICare Program. I'm interested in a New 2018 Hyundai i30 Active (stock #503052). Our Dealership is located in beautiful Bathurst in NSWâ€™s Central Tablelands.